It’s 1973 and Martha has been sent down from Cambridge for distributing left-wing leaflets and doing no work. To escape parental disapproval, she marries her friend Kit, posted to Moscow by the diplomatic service. Kit is gay, but having a wife could keep him safe. In Moscow, Martha struggles to make sense of a difficult but fascinating new world. Who can she trust? Who can she even talk to? She takes Russian lessons, makes the wrong friends, becomes familiar with a strange and wonderful city, and unwittingly becomes a spy. Martha is a bit of a free spirit and when she returns home after being sent down from Cambridge her parents don't really know what to do with her. 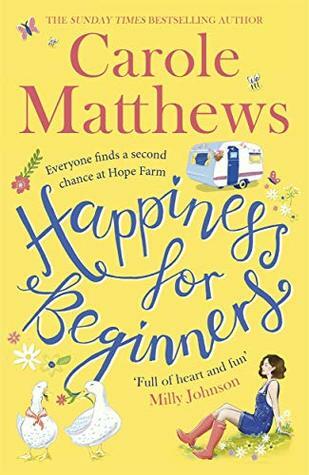 Martha solves the problem by marrying her gay friend Kit and travelling with him to Moscow. That this marriage is one of convenience suits both Martha and Kit, however, Martha finds out, to her cost, that life in Russia is very different from being in England. Her natural excitement at being in such a wonderful, but rather strange, country is hampered by the political and social restrictions which, even as a married woman, are placed upon her. Spending time in Moscow with Martha in the Russia of the 1970s, when this story is set, is enlightening as not only does the shadier side of life emerge, but also the references of living in a place where everyone is under suspicion comes across in a story, by a different narrator, which runs like a thread throughout, and which explains the analogy to the wolves of Leninsky Prospekt. 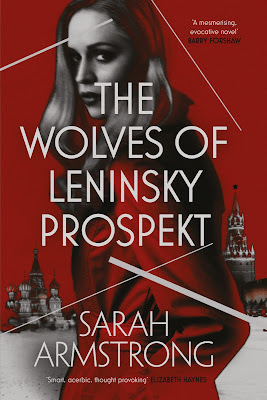 The Wolves of Leninsky Prospekt is an interesting read and the author has done a good job of recreating this mysterious time in Russian history. There was a nice sense of time and place and I especially enjoyed reading of Martha’s exploration of the parks and woods of the city and of her dealings with some of the more shady characters who flit into and out of the story. That some of these characters aren't particularly likeable helps to add an uncomfortable atmosphere, to what is, in effect, quite a cautionary story about a bygone world. 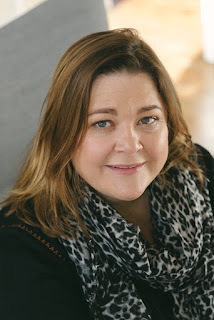 Sarah Armstrong is the author of The Insect Rosary (‘a brave debut’- Anne Goodwin) and The Devil in the Snow (‘an intriguing and compelling story – Liz Trenow). 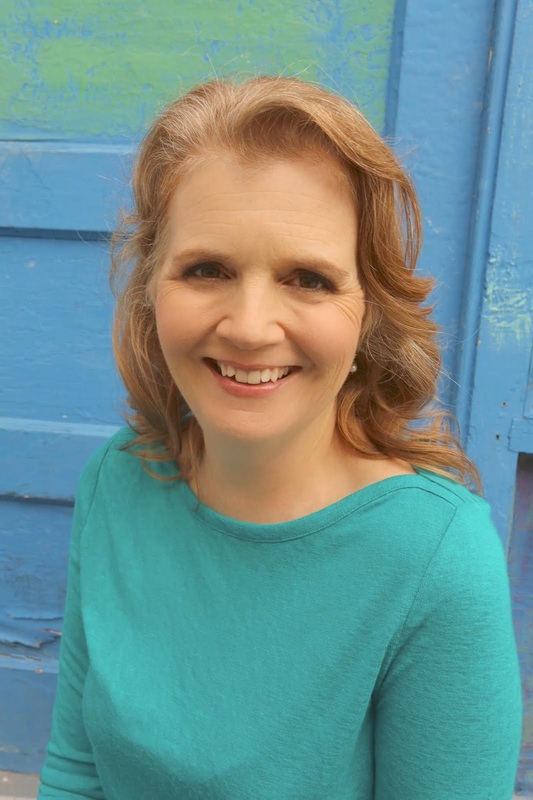 Her short stories have been published in magazines and anthologies, and she teaches undergraduate and postgraduate creative writing with the Open University. Sarah lives in Colchester with her husband and four children. 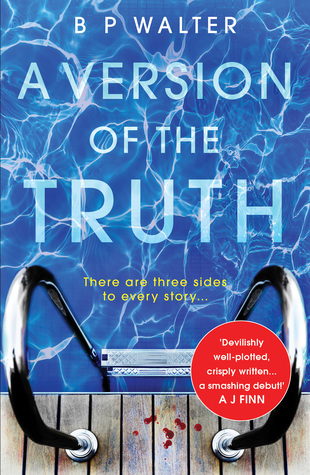 When Julianne's son finds something disturbing on the family computer, it alters the course of their family life forever as the story reveals not just what is going on in the here and now but also goes back to Oxford University in the 1990s when both Julianne and her husband James were students there. 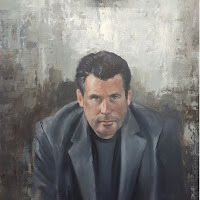 A Version of the Truth is a very complex psychological suspense drama as not only does the story in the present develop in a sinister way but also, Holly, our narrator in the 1990s, reveals a really dark chain of events, the consequences of which will have repercussions for years. The hedonistic days of the 1990s, with a group of young people who have no moral compass, and no thought for anything other than their own perverted pleasures, starts to come alive. What then follows is an uncomfortable story which takes the reader through a chain of events which makes for disturbing reading. I’ve got to say that I found most of the characters really unlikable and their behaviour difficult to read, however, it is to the author’s credit that these people, with so few redeeming qualities, make for such compulsive reading. 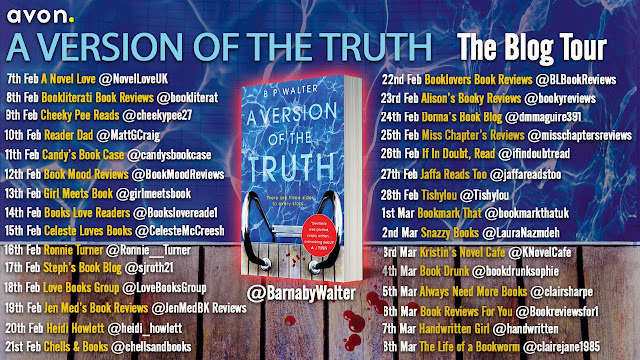 A Version of the Truth is a difficult book to enjoy as it covers some really dark topics which won’t be to everyone’s taste; however, I thought that the author has done a great job of making such despicable characters, and such awful behaviour, into something so compellingly readable. Our selection offers moments of tenderness, romance and wry humour. There’s a poem in which a newly-married woman reflects on the “woosh” sound of the word wife and another where a man wonders about a woman he’s never met, as if he could have married her. We encounter a mysterious wife who arrives when the tide is right, while for Tiffany Atkinson a husband is like a farmers’ market, his heart “...a loom of many rhizomes”. There are poems in abundance about relationships but not many that address the specific bond between husbands and wives. Those of us who have been married for a long time know that it's not always about expressions of undying love, sometimes it's more about the emotion of the little things you share as a couple which make up the collective whole of your life together, and that's what I found refreshing in this latest poetry collection. The poems are cleverly arranged in pairs, so that husbands and wives have their own special dialogue across the page, and there are a lovely selection of verses which express a whole range of emotions, from funny and sad, to contemplative and considered. 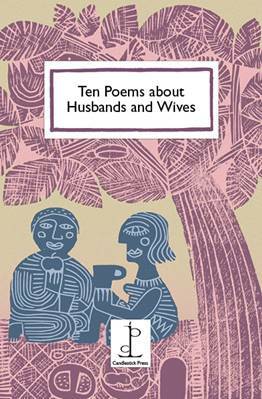 I wondered what she was like.."
Ten Poems about Husbands and Wives is one of those lovely insightful collections of poems which are so reminiscent of this publisher's ability to get into the heart and soul of a topic. The pamphlet would make a perfect gift, either for a wedding anniversary, or as a special wedding celebration card. Towards the end of WW2 Pavel Romasko and his Red Army colleagues make a dreadful discovery, and, even though they have witnessed many atrocities, the horror of what they discover in a Nazi bunker, in Berlin, shocks them. In 2015 FBI agent Carla Romero and New York lawyer Gabriel Hall investigate a series of crimes which seem, on further investigation, to have their origins in events which happened over 70 years ago. 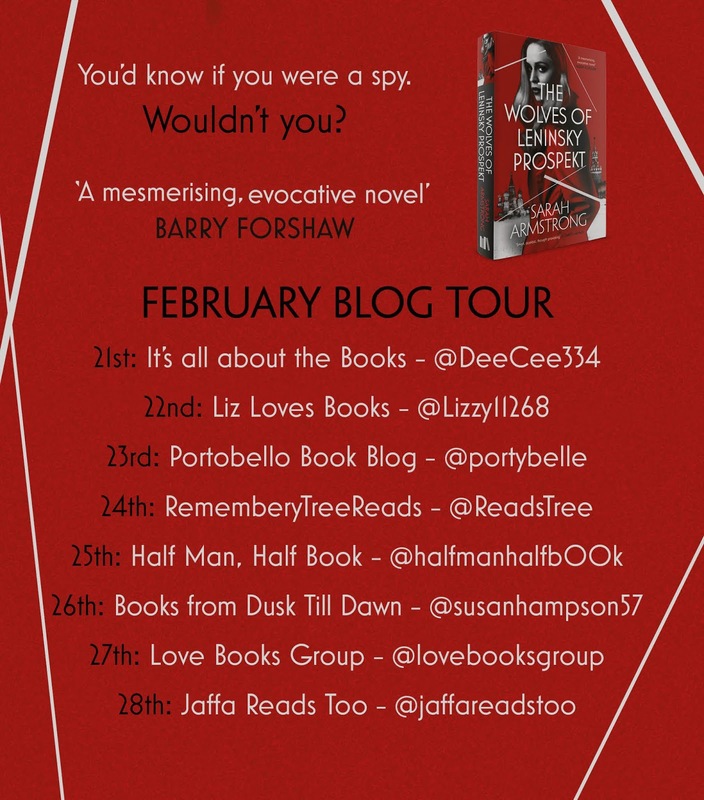 Cleverly combining the dark and deadly secrets of the past with something which is happening in the here and now and you have all the ingredients of a really complex thriller. 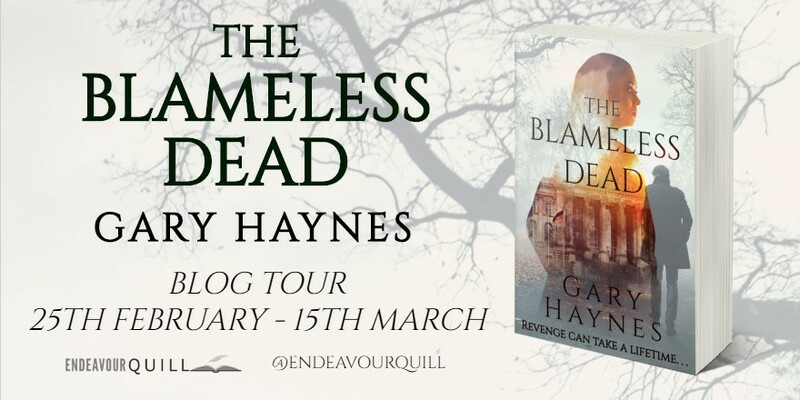 There are instances where the story is quite graphic and the narrative doesn’t shy away from exposing some dreadful atrocities, however, what it also does is cleverly link the terror of the past with a complicated revenge driven modern day mystery. The author writes well and keeps control of a complicated plot with skill, and a fine eye for detail. However, The Blameless Dead isn’t an easy read, and it took me a while to put all the people and the different places into context. There’s a dark and visceral quality to the narrative which combined with the complexity of the plot, particularly the two different time frames, makes for an interesting and complex thriller. Matt Gaw and his friend James take a handsome, homemade canoe, painted a joyous nautical red the colour of Mae West’s lips on an exploration of Britain’s rivers. Over chalk, gravel, clay and mud; through fields, woodland, villages, towns and cities, Matt reveals many places that otherwise go unnoticed and perhaps unloved, finding delight in the Waveney, Stour, Alde/Ore, upper and lower Thames, Lark, Great Ouse, Granta and Cam, Wye, Otter, Colne, Severn and the Great Glen Trail. There's something really lovely about the idea of meandering gently along beautiful British waterways in a canoe, quietly moving in time to the dip and fall of a gentle current, and following the curve and flutter and iridescent blue of a kingfisher in flight. For Matt Gaw and his friend James Treadaway this became a reality when they took to the water in their two-man canoe and escaped into the secret world of rivers. It's not all about gentle waterways as there are some journeys where wild water and deep channels make the going a little tougher however, what comes across is the absolute lure of the river and when combined with the author's enthusiasm and fine way with words, the whole thing gives a glimpse of the landscape from an entirely different perspective. This is such a wonderful idea for a book as both the places along the river, and the wildlife that call the riverbank home, come beautifully alive. The author's account of the gentle exploration of various rivers and the adventures that he and his co-canoeist had along the way certainly makes for interesting reading. 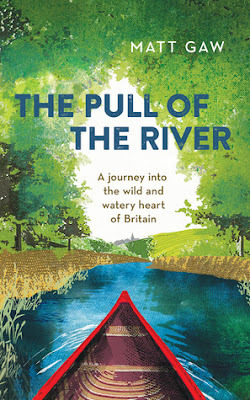 The book is nicely divided into specific river journeys, and even though most of the rivers mentioned were new to me, I have enjoyed taking a journey into the unknown, and, moving along the waterways with the author as my guide, I now feel as if I can visualise our glorious waterscape in a whole new light. 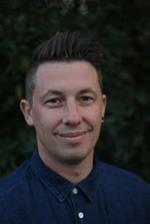 Matt is a writer, journalist and naturalist who lives in Bury St Edmunds. His work has been published in the Guardian, the Telegraph and the Times. He works with the Suffolk Wildlife Trust, edits Suffolk Wildlife and writes a monthly country diary for the Suffolk Magazine. This is his first book. Just one more night. Then I’ll end it. Alison drinks too much. She’s neglecting her family. And she’s having an affair with a colleague whose taste for pushing boundaries may be more than she can handle. But someone knows Alison’s secrets. Someone who wants to make her pay for what she’s done, and who won't stop until she's lost everything. 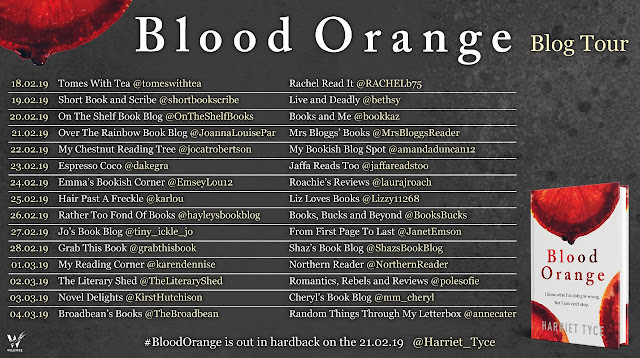 Oh, what a tangled web we weave, and there is no more tangled a web than the one which weaves its way piece by jagged piece through Blood Orange. 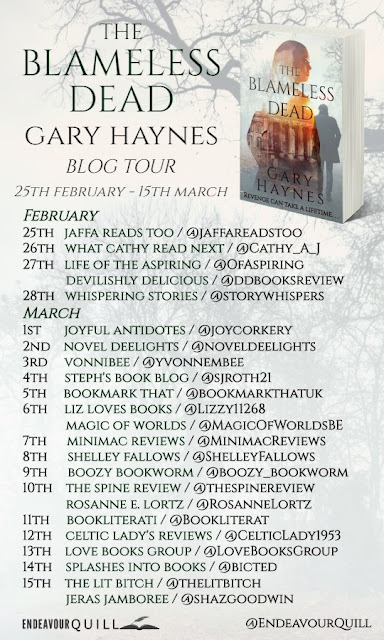 The story is dark and edgy, furiously explicit in terms of sexual content, and with some deeply disturbing psychological influences which are implicit right from the start, with a prologue, which, it must be said, chills to the bone. 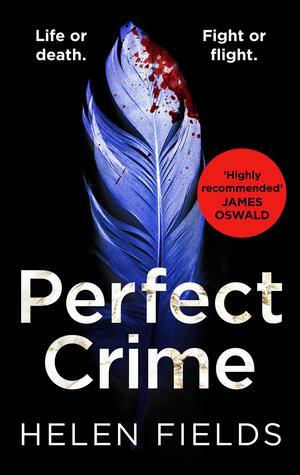 The story opens as Alison, a talented barrister, is about to take the lead in her first murder defence, but in a world where stability and control matter, Alison isn’t the most steady of characters, she works hard, plays hard, drinks too much and doesn’t always realise when she is dangerously out of control. And yet, even though, you sense that she is teetering towards some inevitable disaster, there is always a compulsion to urge her on to greater transgressions, and in this respect Alison doesn’t let you down. I've never known anyone press so many self-destruct buttons! 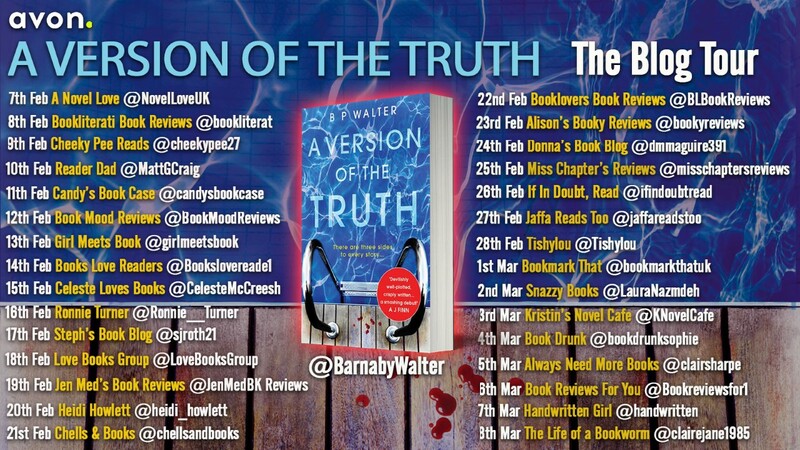 There are several story strands, the cleverly constructed murder mystery, in which Alison is involved from a legal perspective, forms a small part of the story, however, it is in the toxic relationship Alison has with her husband Carl, and her work colleague, Patrick where the story really takes off in a whole different direction, and which, as the story progresses, leaves you reeling in disbelief. 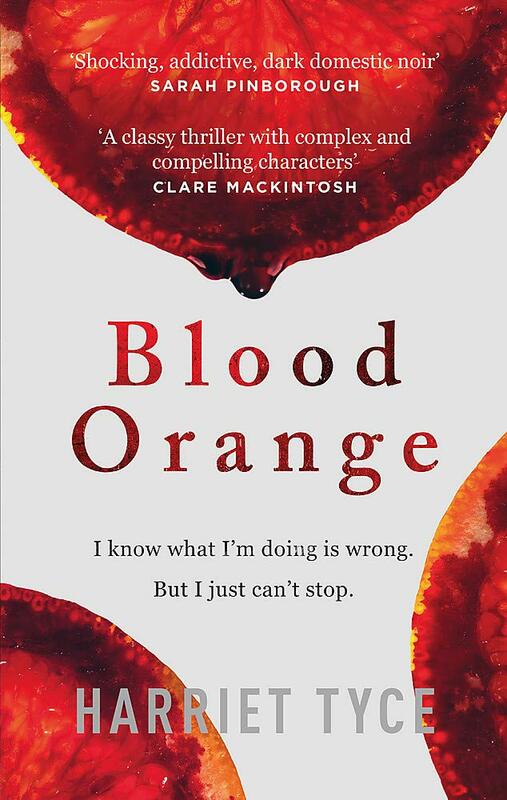 Blood Orange is an absolutely gripping psychological thriller, utterly convincing both in terms of plot and malice, and is, without doubt, a stunning debut from an author who knows how to hold the reader in the palm of her hand, cranking up the tension to impossible heights, and never letting go of the action until the whole of the story is revealed in glorious detail. Harriet Tyce grew up in Edinburgh and studied English at Oxford University beforedoing a law conversion course at City University. 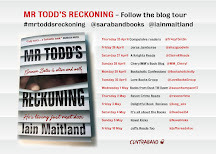 She practised as a criminal barrister in Londonfor nearly a decade. She is currently doing a PhD in Creative Writing at the University of East Anglia. She lives in north London. Blood Orange is her debut novel. 13 October 2008. Welcome to the worst day of Chef Charlie Sheridan's life, the day he's about to lose his two great loves: his childhood sweetheart, Lulu, and the legendary Brighton hotel his grandfather, Franco Sheridan, opened in 1973. 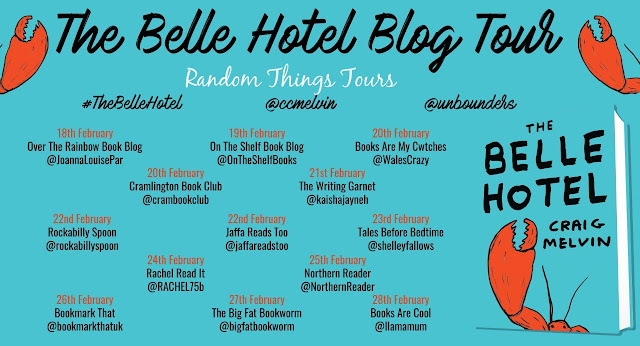 This is the story of the Belle Hotel, one that spans the course of four decades – from the training of a young chef in the 1970s and 80s, through the hedonistic 90s, up to the credit crunch of the noughties – and leads us right back to Charlie's present-day suffering. In this bittersweet and salty tale, our two Michelin star-crossed lovers navigate their seaside hangout for actors, artists and rock stars; the lure of the great restaurants of London; and the devastating effects of three generations of family secrets. The story opens with the worst of all possible days for Chef Charlie Sheridan, his beloved hotel, which has been in his family for years, is in financial difficulties, and whilst some of the problem seems to be of Charlie's own making, there is no doubt that his passion for the hotel runs as deep as his love for his childhood sweetheart, Lulu. What then follows is not just the story of Charlie's fight to keep The Belle Hotel but is also about how the hotel developed, over several decades, under the watchful eye of Charlie's grandfather, Franco Sheridan. The hotel's progression spans some of the most momentous years in recent history, from the struggle of the hotel's early days in the nineteen seventies, through the hedonistic nineties, and finally to the financial constraints of the noughties, The Belle Hotel has seen it all, and whilst it is surviving, just about, there is always room for improvement. I'm intrigued by family run hotels, particularly those which, like The Belle have been through some rough times, they have such a complicated history and lots of character, and taking this story back to the hotel's early days allows a full picture to emerge of the constant need for reinvention, this is brought home when Charlie, faced with ruin has to learn, and learn rapidly, how to move the business in a different direction, or lose it all together. I found The Belle Hotel to be a quirky, feel-good story, it's nicely written and filled with both humour and pathos all of which help to keep the story moving along at quite a jaunty pace. 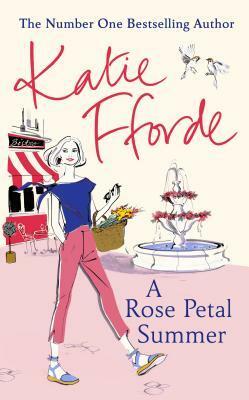 There are some parts of it which had me laughing, and I was intrigued by the delicious recipes, especially the one for my absolute favourite Tarte Tatin, which are interspersed at intervals throughout the book. 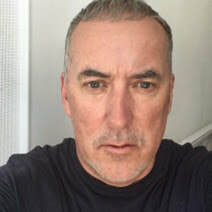 Craig Melvin holds an MA in Creative Writing from Sussex University and works as restaurant consultant in London and Brighton. 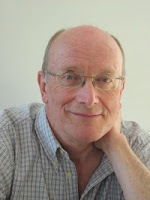 He was mentored by Albert Roux at catering college and has worked in the restaurant and hotel business ever since. He also runs www.lunarlemonproductions.com with his wife Mel. 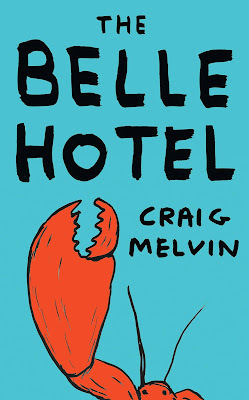 The Belle Hotel is his first book. Ia Pengilly lives a solitary life on the Cornish coast, eking out a desolate existence, relying on her considerable wits and her innate ability to salvage the gifts the seas throw up. Her joyless relationship with her much older cousin, Bran, who uses and abuses her, and simply doesn't care enough to love her, is as bleak as her existence. Set in some futuristic world where neither hope nor charity is allowed to flourish, gangs roam and pilfer, and when the light is on in Ia's isolated caravan, men, with their own specific needs, come a-calling. There is a cold, cheerlessness to the story which I found utterly compelling and the barren nature of Ia's life is offset against the poetic quality of the words which rumble and turn at every opportunity. I loved the unique way that the prose skittered and danced, and was so in tune with the nature of its surroundings that it became totally immersive. I knew I was impressed when I read the opening paragraph three times, and so mesmerising is the narrative that even further into the novel I had to keep turning back to re-read a word, or a cleverly constructed sentence. All Rivers Run Free is a story about self-discovery and self-worth, and of how lives are shaped and moulded by those we love, who are carried close to our hearts. It's also about a ferocious need to survive in a world where the dark shades of grief and loss are allowed to colour everything. Natasha Carthew is a startling new voice from beyond the limits of common urban experience. She tells a tale of marginalisation and motherhood in prose that crashes like waves on rocks; rough, breathless and beautiful. Natasha has been published previously as a poet and young adult writer and her books have been nominated for the Carnegie Award and shortlisted for several national awards including the Branford Boase. 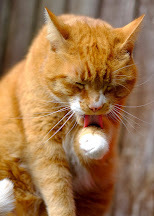 She lives in Cornwall with her girlfriend of twenty years and spends most of her time writing outdoors in all weathers. Her identity as a country writer has led her to become a survival expert, a trained walking-guide and to teach Wild Writing workshops. Natasha is the driving force behind a proposed Working Class Literary Festival planned for 2020. A note from the author.. When I began writing All Rivers Run Free I wanted to tell a story that dealt with the issue of mental illness, while exploring the nature/nurture question of why we behave in a certain way. With Ia I wanted to create a character that we could root for from the very start, a woman who despite living in a lonely, abusive relationship and a lifetime of adversity, finds pleasure in small things and never gives up hope. The world she creates to protect herself was central to the story: she has a love of nature, collecting found objects and keeps looking beyond the cove for something life-changing. This is a woman who has lost family in the past and through her unborn babies has lost her future family. She sees no way out so she creates an alternative reality. 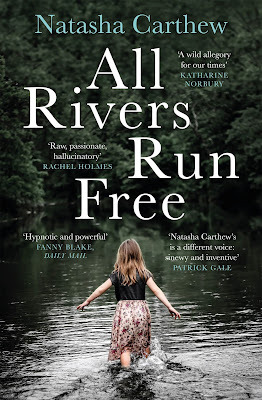 Despite the heartache, I wanted All Rivers Run Free to be an uplifting story that followed Ia on an emotional journey, a transformation from innocence into horror and horror into tenderness. It was vital that this story said something important about the human condition, a presentation of suffering and cruelty played out against a beautiful, harsh backdrop of a recently collapsed Cornwall. I was born and raised in a council house on the south coast of Cornwall and have always taken inspiration from my homeland. 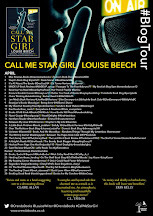 I left school at fifteen with barely any qualifications and instead of higher education I embarked on a journey of low paid jobs while I worked on my writing career. 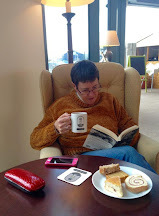 From an early age I wrote poetry and had early successes in top UK and US magazines which led to three books, the third being published with Onlywomen Press. I consider myself a Country writer; rural issues, the environment and nature are always at the forefront of my work and I like to tell stories in a traditional, timeless way. I live in a cottage in the Cornish countryside with my girlfriend and when I am not writing in my outdoor cabin, I can be found climbing cliff-tops and getting lost on the moors of Cornwall. Caro Swanson has taken a job in a remote part of Scotland. She’s answered an ad in The Lady: being a companion to an elderly gentleman who lives in a country estate could be perfect! Surely it's time to make a change and do something different for a while? With her life in a bit of a dull spot, Caro Swanson decides to take on the temporary role of companion to an elderly gentleman who lives on a remote estate in a beautiful part of Scotland. Expecting to be there for just a short time, Caro is very soon gets drawn in the dynamics of Murdo's rather crazy family, and it's not just that her relationship with the irascible Murdo stretches her patience to the limit, but she also has an entirely unexpected meeting with Murdo's son, Alex, who is someone she knew, very briefly, years ago. 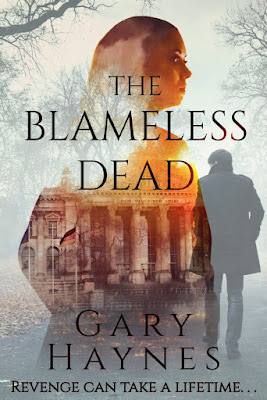 Caro's time in the idyllic setting of Glen Liddell is filled with an abundance of people who all seem to need Caro in one way or another and yet, it is her relationship with the rather delicious Alex where the story really starts to come together. 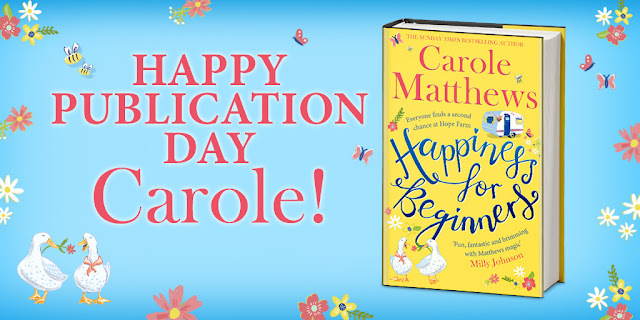 I can't say too much more about what happens as that would spoil things, however, it's a really lovely story, and I was soon immersed in all the crazy goings-on in Caro's life. A small piece of rare silk discovered in a bundle of scraps at auction triggers a curious sense of familiarity, and prompts her to unpick a past filled with extraordinary secrets and revelations..
After an early start in poverty, Charlotte Amesbury is now the successful owner of a costumière on Draper's Lane where she and her talented seamstresses provide gowns and other apparel for the ladies and gentlemen of Georgian London. That Charlotte is in business on her own in something of an usual occurrence in 1768, and yet, her determination to succeed is to her credit. 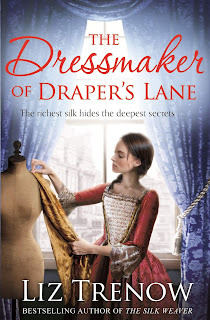 When Charlotte and her friend, Anna, who is a silk weaver, discover an unusual piece of rare silk at an auction, the investigation into the provenance of the silk opens up a whole new set of questions, not just about the extravagance of the silk, but also more about Charlotte's early life. 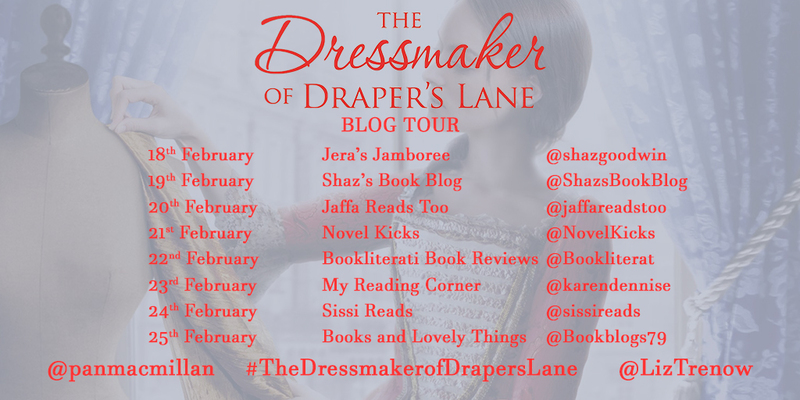 The eighteenth century world of silks and damask comes to life and, throughout the story there is an interesting sense of time and place. I think the author has created an authentic world in which Charlotte, and the women who support her, play a central role. It was lovely to meet up again with Anna, the character we came to know in The Silk Weaver, and she continues to offer Charlotte supportive loving friendship and a real sense of home. The added inclusion of Charlotte's sister, Louisa, takes us in a different direction, and adds another fascinating dimension to the story. 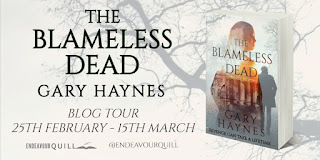 The mystery at the heart of the novel offers more about Charlotte's mysterious background, and I won't spoil anything by giving anything away, however, I really enjoyed seeing how the author pulled everything together and cleverly intertwined the silk mystery with stories of real people from the time. I found much to enjoy in The Dressmaker of Draper's Lane and look forward to reading more stories about the world of silk from this talented author. Liz Trenow's family have been silk weavers for nearly three hundred years, and run the oldest family owned silk company in Britain, one of just three still operating today. 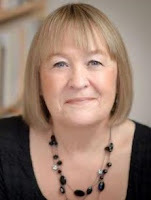 Liz worked as a journalist for regional and national newspapers, and on BBC radio and television news, before turning her hand to fiction. She lives in East Anglia with her artist husband, and they have two grown-up daughters. Thirty years earlier, Shelley’s family home, Deerwood farm, bursts full of love and happiness. Until her husband dies in mysterious circumstances. So many secrets were buried with him, family loyalties, and things best left to history. 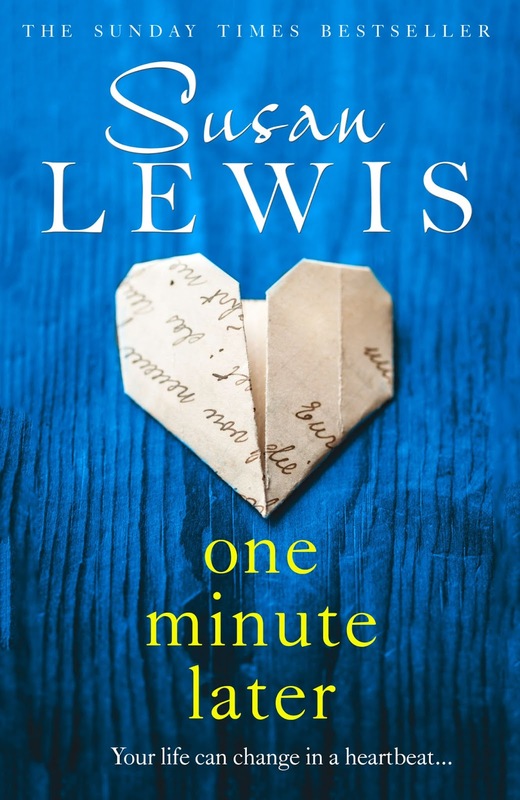 We tend to go blithely through life thinking we are indestructible but as this novel shows, life can, and does, change, quite literally, on a heartbeat. Vivienne Shager's life is altered forever when she experiences a heart attack on the afternoon of her thirty-fifth birthday. The result has a devastating effect, not just on Vivi as she comes to terms with her greatly altered lifestyle, but also on the lives of those around her, and even the lives of some people she has never even met. The story of how Vivi copes is in itself a captivating read but add into the mix a dual time element about something which happened thirty years earlier and the story starts to take on a whole different meaning. The author writes this type of family saga really well and brings her characters to life in a very believable way. There is much to consider, not just about how Vivi's heart condition affects her lifestyle, but also running alongside is the consideration given to organ donation, and the meaning this has on the wider context of the story is gradually revealed. 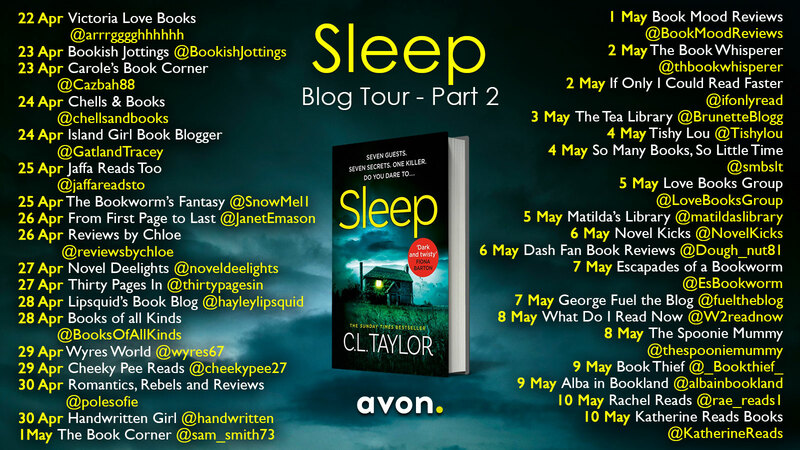 I think the first half of the book is concentrated on setting the scene and I needed to concentrate on what's happening but once the characters, and the settings, were fixed in my head, I enjoyed discovering where the story was leading. 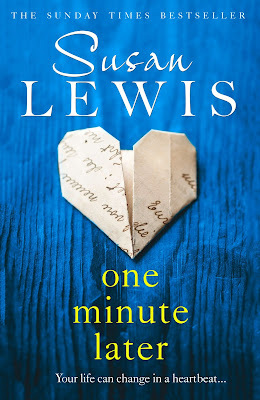 One Minute Later is, in many ways, a rather sad story, and yet, what shines throughout is the importance of family and friends, and whilst there is sadness at the conclusion of the story, there is also hope, and love in abundance. 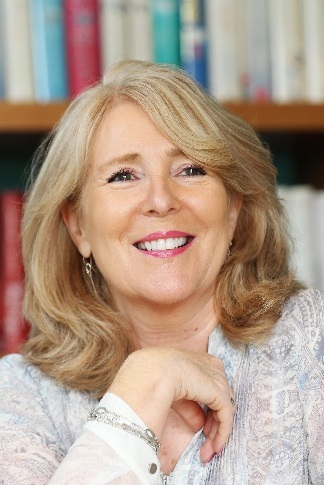 Susan Lewis is the bestselling author of over forty books across the genres of family drama, thriller, suspense and crime. She is also the author of Just One More Day and One Day at a Time, the moving memoirs of her childhood in Bristol during the 1960s. 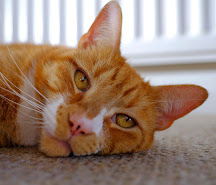 Following periods of living in Los Angeles and the South of France, she currently lives in Gloucestershire with her husband James, stepsons Michael and Luke, and mischievous dogs Coco and Lulu. This is such a lovely story and a perfect pick-me-up after the gloom of winter. 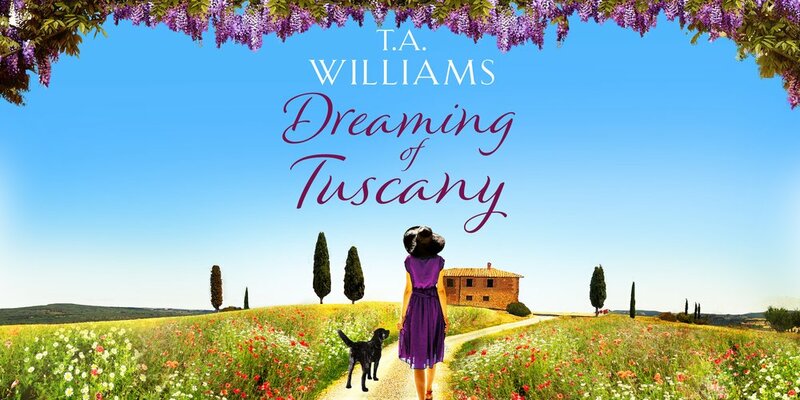 The beautiful Tuscan setting allows the gentleness of the narrative to wrap around you and gives you such a cosy, warm feeling. I was quite enamoured of Bee, who after a dreadful accident on a film set, is sent to recuperate in a beautiful Tuscan villa, her companion on this retreat is a very well known film actress who is also recovering from the after effects of the same accident. 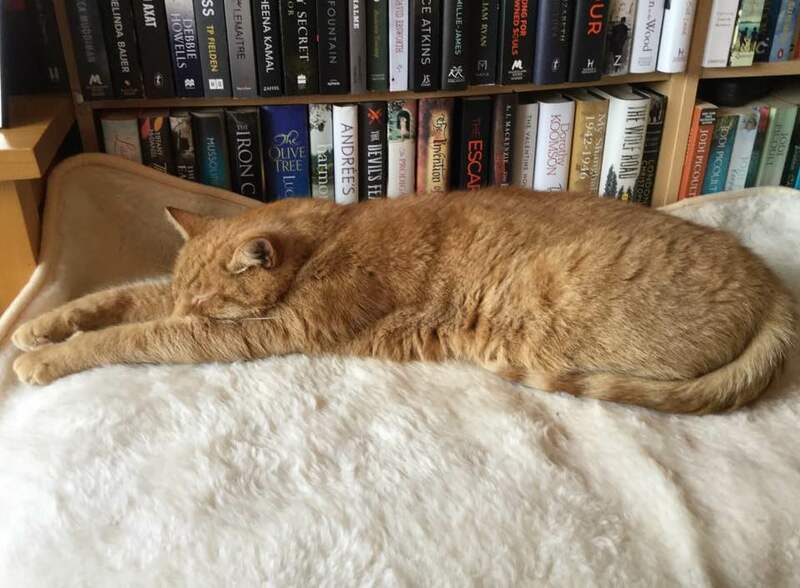 The relationship between Bee and Mimi is at first a little difficult but the magic of the place and getting to know the interesting characters, particularly the handsome Luca, and Romeo the delightful Labrador, soon help both women to relax. 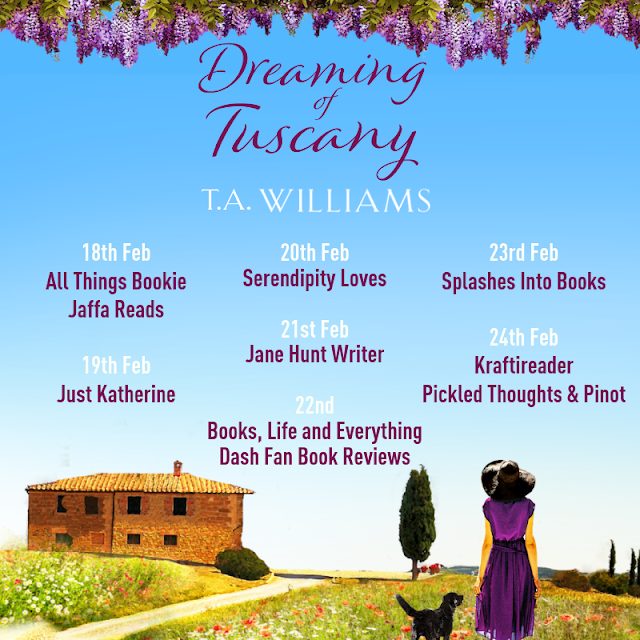 Dreaming of Tuscany is a really lovely story, with its glorious Tuscan setting, delicious descriptions of Italian food and wine, and the charming characters who tug away at your heartstrings. 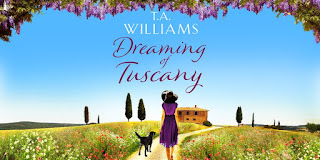 I spent an enjoyable afternoon in the company of Bee, Mimi, Luca and Romeo, and whilst I was sorry when the story ended, as I could have read on and on, I was absolutely delighted to have been treated to another lovely feel-good story from this talented author. 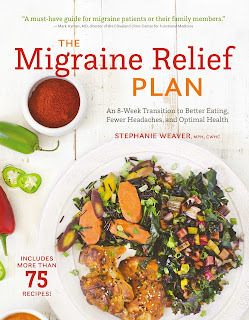 The Migraine Relief Plan: An 8-Week Transition to Better Eating, Fewer Headaches, and Optimal Health. When I opened this book I felt like I had finally found someone who spoke my language. Having lived with the distressing symptoms of both vertigo and migraine, I realised long ago the importance of modifying my diet in order to avoid the triggers which exacerbated both conditions. This 8-week transition to better eating, fewer headaches and optimal health puts the whole thing into perspective and for people who live with these conditions finding something that really helps is half the battle of coping with so many different symptoms. 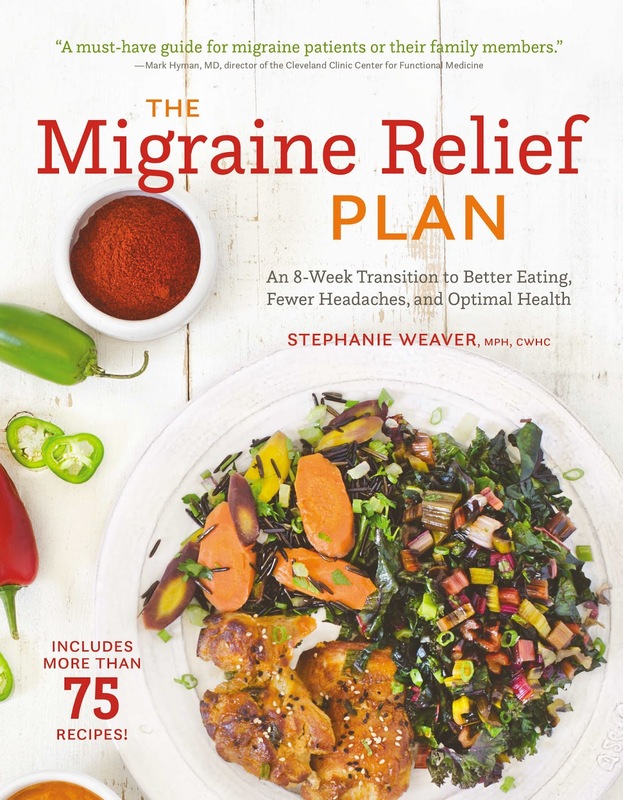 The Migraine Relief Plan is completely user-friendly, which helped enormously as there's nothing worse that starting a health plan only to be bamboozled by too much waffle and too much complicated science. The individual chapters are both informative and really useful and the author's own interpretation and the ways she puts forward her ideas and the reasons behind these ideas and suggestions was, for me, quite enlightening. There's an informative diet plan, and interesting food suggestions to follow with lots of delicious trigger free recipes which help to navigate the complicated process of what you put into your body as fuel, but what struck a chord with me was the section about taking care of what you put on the outside of your body. I realised long ago that detergents, perfumes and chemicals acted as personal triggers and so it was reassuring to read that I haven't been wrong in my assumption and that so many artificial products really do act as triggers for both migraine and vertigo, the statement, "Avoid putting anything on your skin that you can't eat or drink " made perfect sense to me. This is definitely my new go to book as I continue to cope with symptoms which I've learned to live with but, like many sufferers, I am constantly searching for new ways to cope, and this book certainly gave me some answers to questions which have long been a puzzle. And just to add for those of us based in the UK that whilst there are references to US based medical practices it doesn't detract from the overall content to what is after all a very informative book. The prize is a signed copy of The Migraine Relief Plan for US winners, or an unsigned copy of The Migraine Relief Plan for UK winners. The content of The Tenant of Wildfell Hall is, by the standard of its time, rather dark and shocking as it uncovers a web of deceit and wickedness which surely shocked the sensibilities of its first readers It's about a woman who is grievously wronged and who, despite her precarious position in Victorian society, strives to protect herself, and her child, from further harm. 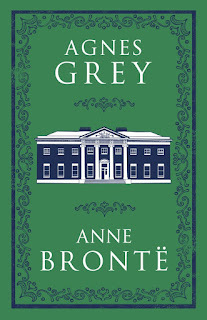 Whilst there is no doubt that this story has all the strength and passion we associate with Anne Brontë it is not an easy read, firstly, it takes a while to become accustomed to Anne's writing style which is quite loquacious, and also the sheer scale of the novel takes a real investment of time. Realistically, I found that I could only read a chapter at a time, as the story is complex, and I needed to take time to absorb the meaning of this dark and quite gloomy Victorian Gothic. The Tenant of Wildfell Hall is the book I most associate with Anne Brontë, and although by 1846 she had contributed to a book of poems with her sisters, it was the acceptance of Charlotte's novel, Jane Eyre, which spurred Anne to publish her first novel, Agnes Grey in 1847, under the pseudonym, Acton Bell. 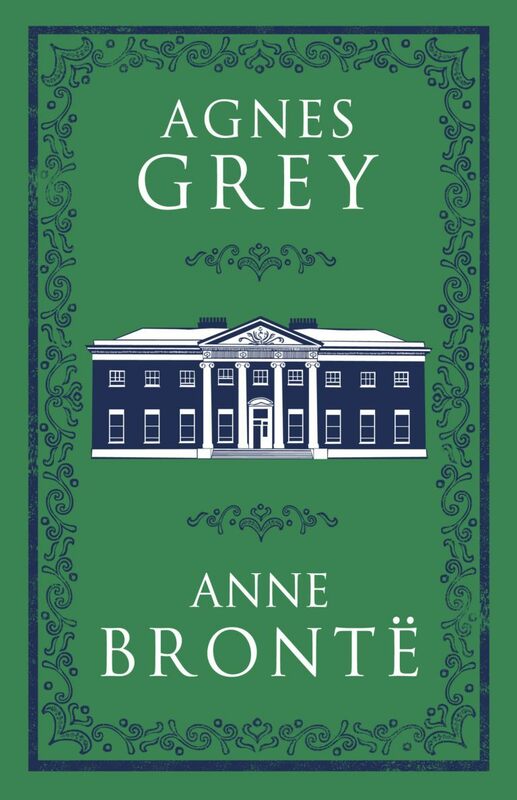 However, whilst Agnes Grey did reasonably well, it was rather overlooked by the greater success of Emily's Wuthering Heights which was published at the same time. 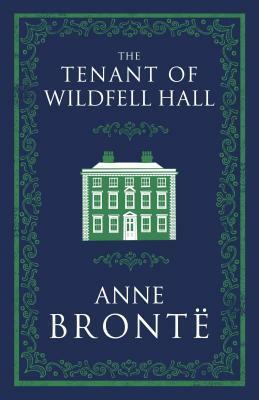 Undaunted by this Anne went on to publish The Tenant of Wildfell Hall in 1848 and it's shocking and controversial content made it a huge success, with the first published run of the book selling out in 6 weeks. There remains something remarkably important about the Brontë novels as no matter when you read the stories written by Charlotte, Anne or Emily, there is always something to discover which reiterates the strength, not just of their style writing, but also of their unique and at times quite scathing observation of the role of women in Victorian society. This edition of The Tenant of Wildfell Hall was published by Alma Classics in November 2018 and is a beautifully presented copy with a sumptuous new cover. The series of illustrations at the start of the book show portraits of Anne, her parents and her sisters, placing them nicely into context and the extra material about Anne's life is both fascinating and informative. 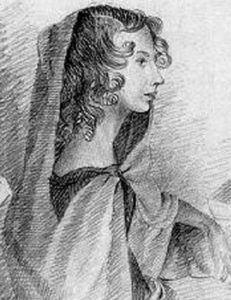 Anne Brontë was an English novelist and poet, the youngest member of the Brontë literary family. 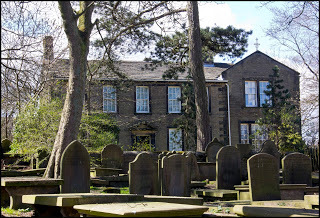 The daughter of Patrick Brontë, a poor Irish clergyman in the Church of England, Anne Brontë lived most of her life with her family at the parish of Haworth on the Yorkshire moors. She died, aged 29, from tuberculosis in 1849. As Georgia gets closer to the truth behind the Fielding family, something happens that threatens not only her career - but even her own sanity. At first, she fears her guilt around the events of her terrible childhood is finally coming back to haunt her. Georgia Sage has an exceptional talent for recording what goes on in the most intense of courtroom battles. The reason for this is that Georgia is employed as a courtroom artist and her unique ability to record accurately the facial expressions and personality traits of those on trial have enhanced her reputation as one of the best artists in her field. When Georgia is given the opportunity to revisit one of the more notorious trials she covered she finds, to her cost, that the deeper she gets drawn into reopening this mystery the more vulnerable she becomes. She is soon involved in a whole new set of secrets and lies which not only have the ability to destroy her peace of mind, but which also reveal the secrets of her own past which she has kept hidden for far too long. 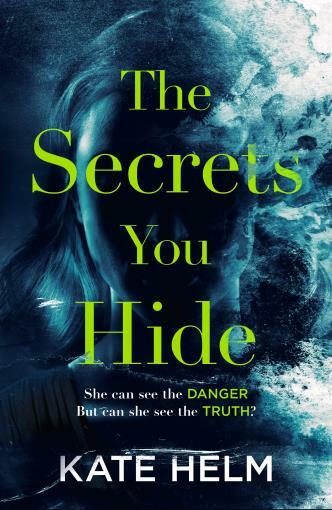 The Secrets You Hide is a well written and complex psychological thriller. The opening chapter sets the scene really well and the action doesn't really let up until the story is finished. 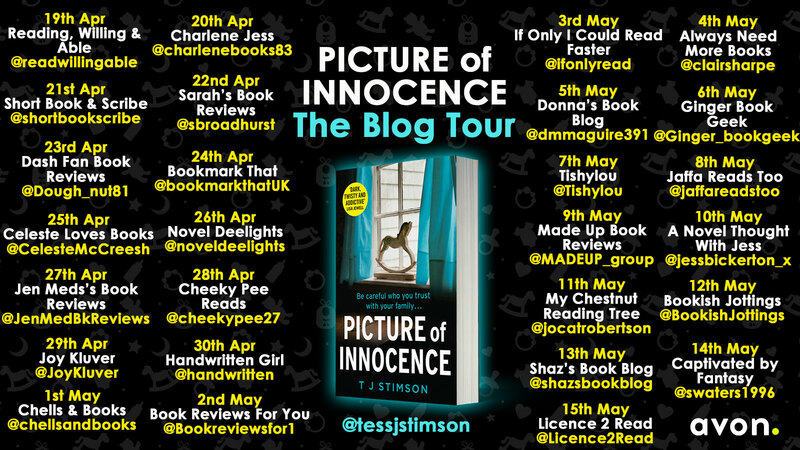 I found this to be a really suspenseful read and it was really refreshing to have a lead character who has a different perspective on the criminal justice system. Georgia is a complex character and we get a great insight into her personality as the story progresses. 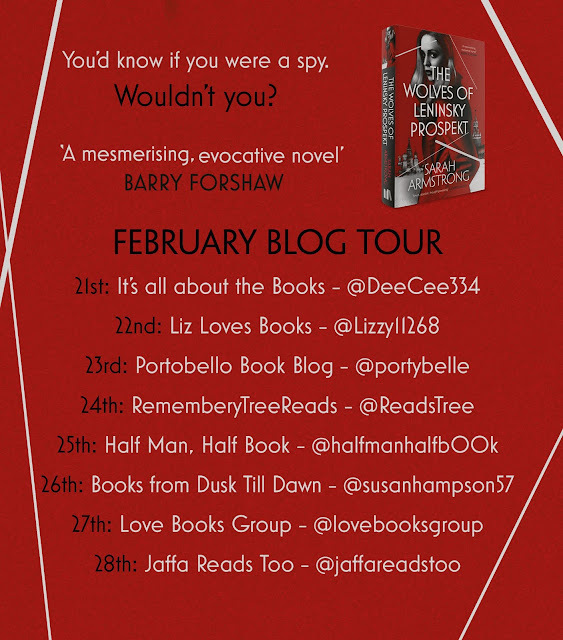 The story is compellingly addictive and once started I found that I really couldn't put the book down.